Jeremy Williams is the San Francisco based engineer / hacker / programmer / maker / video game enthusiast behind the Game Frame, a fully-programmable grid of LEDs designed to make it easy to display animated pixel art and old-school video game graphics. Earlier this year Jeremy raised over $154,000 on Kickstarter for the Game Frame – an amazing sum considering the project’s original $15,000 goal. 7 months later – With the last of the Kickstarter rewards fulfilled, we sat down with Jeremy to get some insight into what led to his amazingly successful campaign. Here’s a look at what has happened before and after the campaign was funded, along with some important lessons—both good and bad—that crowdfunding hopefuls can learn from Jeremy’s success story. Setting goals – How did you set your initial Kickstarter goal? Was it a manufacturing quantity price break you were trying to hit? It was simply the number I needed to hit my vendors’ volume pricing. I firmly believe the lower you can make the goal, the better. People are more inclined to back when they will definitely receive a reward (i.e. funding has been met). Stretching it – Your project raised a mind-blowing $154,647 of your original $15,000 goal. How did this affect your original plans? Throughout the campaign, I always thought demand would taper off but it never did, thanks mainly to periodic press coverage. In the end, success didn’t have any real affect on my original plans except I have to work a lot longer to assemble the things. In retrospect I should have had a far-fetched contingency plan for 10x funding like I was lucky to get, perhaps with assembly help or even a molded/cast design that only makes sense in volume. Planning it – What are a few key elements you incorporated into your project early on that ended up paying off later on? Hm… I can only think of things I did NOT plan. I ended up adding an International tier half-way through the campaign once the volume of orders justified CE certification testing, but I probably should have just had this at launch. I also forgot to calculate CA sales tax into my numbers, and that’s no joke as you know. Finally, I wish I had a list of stretch goals planned instead of making them up as I went along. Hitting goals – You nailed it in 4.5 hours, right? Do you have advise about setting stretch goals? Like, when do you advise adding these to a campaign, before launch or only after the goal is hit? Other? I added more graphical content for each $10k over the goal, and then additional clock chips & functionality at $100k, but this was all discussed in “updates.” Ideally this should have been spotlit on the main page as a visual barometer. Actually, now that I think about it, it would probably be best to think about stretch goats before launch but wait a week before announcing/pricing them. This would allow you to get a feel for your funding trajectory and price your stretch goals along your profit vector (or just above it). This also gives you a nice built-in update scheduled, which the backers like. – building a following? (And did you direct this group to your KS page after it went live)? – building the KS webpage? I designed & coded the project for about 9 months before launching the Kickstarter, but I dragged my feet for months. (I had launched another project that crashed and burned, so didn’t have much faith in Game Frame.) The following I had was extremely fortuitous. The whole project evolved after I showed a very early prototype on an Internet show called Tested that my friends host. 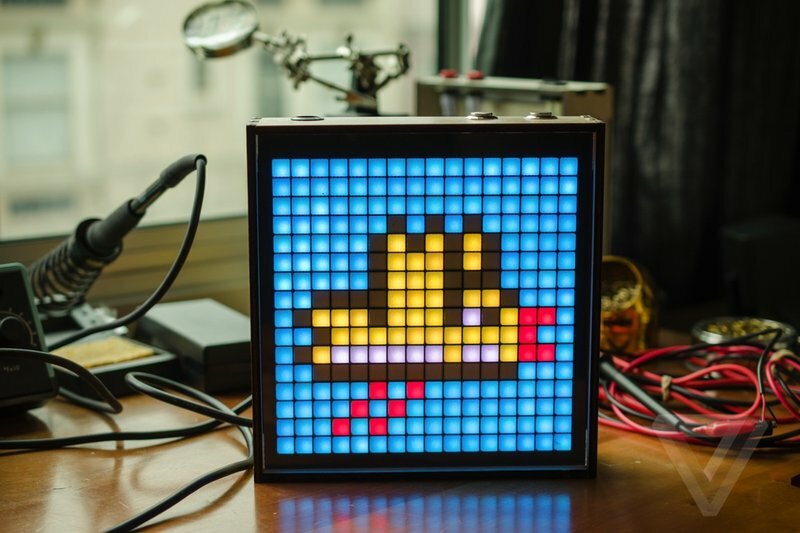 I had built the “pixel box” for myself, but the audience said I should crowdfund it. Over the next several months I redesigned it and mentioned Game Frame on their podcast a couple times. These fans of Tested, along with its hosts, are entirely responsible for the Twitter buzz that hit my goal in 4 hours. I have never witnessed the power of Twitter first hand before this, and it was extremely eye opening. Otherwise, I did not do my best to build buzz before launch. I didn’t even mention it on my own Facebook wall or tell my family I had launched, in fear that it would be embarrassing if it failed miserably. I DID spend awhile on the KS page though. Probably two weeks, including the video shoot/edit. I put a lot of stock in presentation because the “pitch” itself is an example of a standard of quality. Hopefully if people see I care about the page, they’ll trust me to care about the product. Pricing it – How did you set your pricing? Was it a realistic retail value? Were the early bird units sold at cost? What would you do next time? Early birds weren’t sold at cost, but at half profit. I just sat down with my Google Spreadsheet and tinkered for a few days. I tried to get every tier (except early birds) to reflect the same (relatively low — 15-20%) profit margin, so I spent some time calculating all of the costs involved with each one. Then with the higher end rewards I increased the profit margin to balance things out. I limited the availability of the highest tiers out of necessity, but that’s also a good way to make them feel special to backers. I could have probably increased their prices even further, but my prices seemed fair. A lot of Kickstarters have the super high end tiers ($5k Producer level, $10k Founder level, etc. ), and I suppose this is a good idea but I just couldn’t think of any rewards that would justify that range. To do it again, I would have charged more for an assembled Game Frame and sold a kit version for $230. Two months of assembly is for the birds. Stage of product development – Your product basically had all the wrinkles ironed out before the KS page goes live (right?). Comparing this approach with going live on KS at the other end of the spectrum with digital demos / renders (pre physical prototype) – what’s your recommended path … closer to one of these extremes? When I launched, Kickstarter required hardware projects to have a physical prototype, and in fact disallowed renderings. This may have changed, as they just made a sweeping revamp of their rules. But regardless I believe that rule existed for a reason — it makes for a better, bankable pitch. I would strongly urge you to develop even the most basic of prototypes; something that demonstrates your personal curiosity and ingenuity regardless of whether you get funded. Partners – How important to the market appeal/demand was the involvement of partners like eBoy? Do you recommend everyone try and find a brand name grand daddy in their space, or just nice to have? That’s an interesting question. They were indispensable to me because I lack the ability to draw (in pixels or anything), and I needed awesome 16×16 graphics. They also did the logo, laser etched fonts, and system menus. They were very much my art department, and tied all of those elements together with a single aesthetic. So that’s important, but has nothing to do with their brand name. Where their celebrity was helpful was in getting press. The eBoy brand became the hook for articles to link to the project. That’s not to say every project needs this, but if possible I would suggest including a “celebrity” endorsement of some kind. Video – Who did it, you or many people? I did it. It’s been awhile, but I ran a video studio in Chicago several years ago. I actually didn’t want to do it myself, but it was definitely the right solution. I wanted some friends of mine who run a video house in the Mission to do it, but they needed $10,000+. In the end, I spent about $200 to rent some lights from Borrowlenses, shot it on my DSLR, and used an iPad teleprompter app along with an old lapel microphone. Score. The hardest part was scripting it and finding a vocal tone with the right balance of calm sincerity and enthusiasm. Many takes were shot. Me. Another one of the recent changes made by Kickstarter is actually the ability to skip their review process. I would urge you not to skip this, because their feedback was helpful. They basically just asked me to add the section about the genesis of the project, and its journey from napkin sketch to prototype. This ended up making a better story, and I’m glad they asked for it. Rewards – How did you set the reward tiers? For a relatively expensive complete project ($200+), were you trying to bring the median award cost down? What went well, and what would you do differently next time? Promo – You had some great media coverage, both early on and right up until the end of the campaign – What was your strategy for networking with bloggers/writers/tech reviewers? All I learned is you can’t control this stuff. (I can’t, at least.) 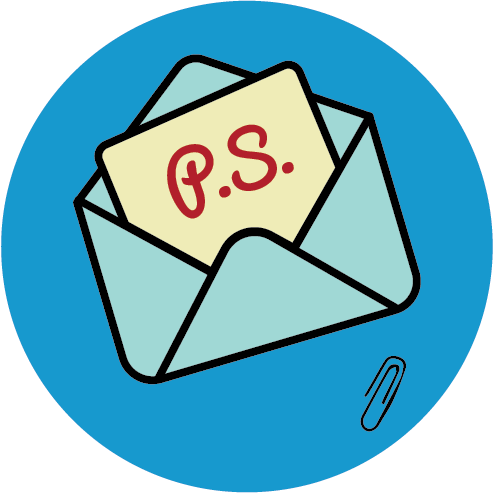 I sent out a press release to a handful of blogs at launch, and all of them ignored it. Then days and weeks later people started picking it up on their own, including two of the blogs I originally spammed (BoingBoing & The Verge). These sites are looking for content, so I guess it’s just a matter of getting on their radar. I was glad to see the coverage was mostly favorable, probably helped by the fact that they had “found” the story rather than being pitched it. 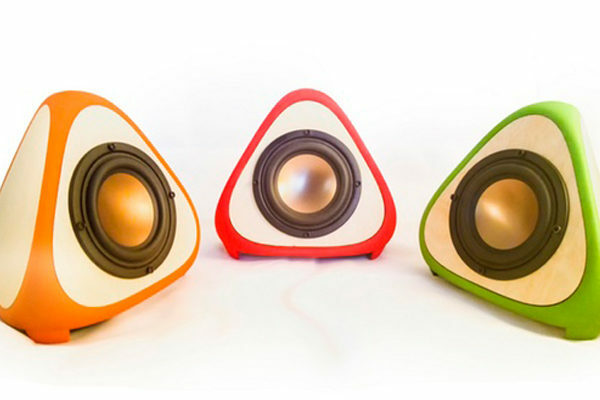 Kickstarters are still cool, and people like to cover them. By sheer luck the press worked out exactly as it should have — interspersed throughout the campaign. You can see up ticks on my funding graph over on kicktraq that correspond to when articles hit the web on TechCrunch, BoingBoing, and The Verge. Fulfillment – You’re at the sharp end of it now. Tell us your story of the feelings going from 10x success to the early realities of fulfillment, to then hitting June 2nd, your first ship date? And how this post campaign experience can be incorporated positively into the pre-campaign setup? The short version is assign later ship dates than you think you’ll need. And then make them a little later. (You can’t change these dates after launch.) For some reason I felt like near ship dates would be an incentive to my backers, but honestly I don’t think it would have mattered one bit if they were a few months later. How do I know? Because I’ve already had to delay shipments two months and NOBODY CARES. Still, I feel horrible about the delay and every single day I’m stressing out because I want to stay on schedule as much as possible. It’s unhealthy, not worth it, and could have been avoided. Make those dates way down the line, and if you ship early, great. That’s my biggest lesson. Other – Besides the product itself, your partners, the community build prior to your KS page going live, the copywriting and video – what other resources were needed to launch your KS page? And what other resources were needed to promote your KS page? You nailed it with that list. Coffee helps, too. As for promoting, do use kicktraq,com — I had some backers (and even friends) discover me through their RSS feed. Watch your incoming links in the Kickstarter backend and visit the sites linking to you to join in the comments — especially Reddit. Keep it real. Remember you can only control so much. 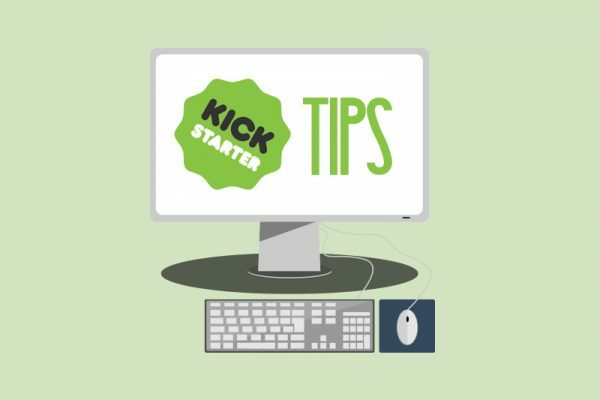 General – What are a few key things you learned that you think future maker/sellers using Kickstarter could benefit from knowing? Your idea is everything. You could totally ignore everything I said above, and if your product is cool you’ll still be successful. If you make a cool product, people will want to back it, and journalists will want to write about it. There’s only so much you can do to affect that. Keep your video under 3 minutes (not always easy). Be passionate but down to earth. Kickstarter will show you the market for your idea. If a market exists, great! You’ll still have to seed your own capital if you want to make more beyond the backer rewards, but at least you’ll know the scope of the market. And one last pro tip: you can’t change the main page after the funding period, so add a link to your web site at the top before it ends so late arrivals can follow the action.